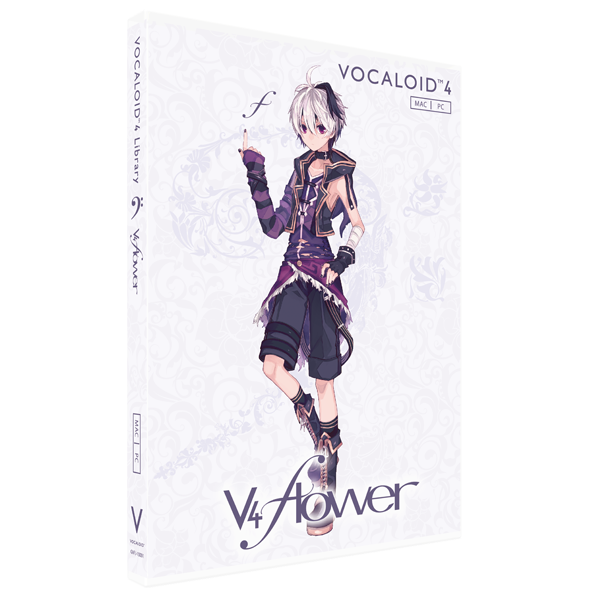 The VOCALOID4 Library "v4 flower" is a VOCALOID specialized for "rock" amongst a wide range of music genres. Her neutral voice is appealing in various ways, from the boyish strength in the mid- to high tones, to the sorrowful, fleeting, and sad low tones. She provides a vocal sound that isn't lost even in heavy music with guitar sounds in the foreground. Not only did we equip the Growl function to support VOCALOID4, but we also reviewed the sound source, improving fluidity. This makes it easier to output a voice that, while specialized for rock, doesn't hurt your ears. This aloof girl is a rock VOCALOID that can sing anything from slow rock to up-tempo heavy sounds. (from Honeyworks) and rocoru(support member of Honeyworks) .